Sometimes simple is better. I love grouping these mini fall arrangements together to make an impact for a centerpiece. 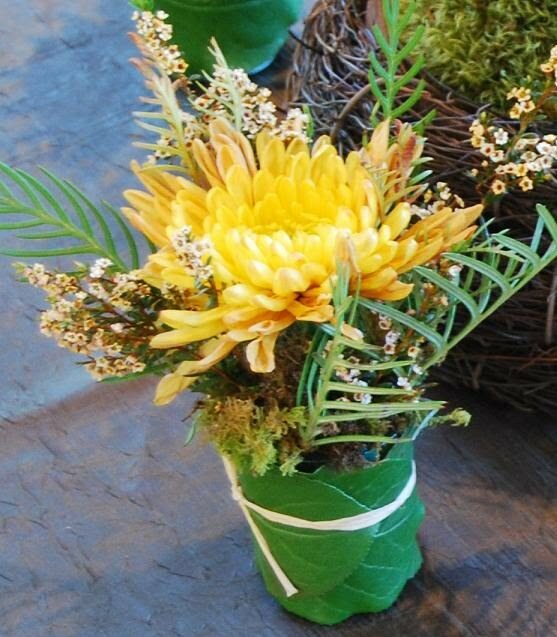 These mini arrangements were created using a glass votive cup, wrapping it with salal leaves and tying the leaves with a piece of raffia. A small piece of wet oasis was placed in the cup. 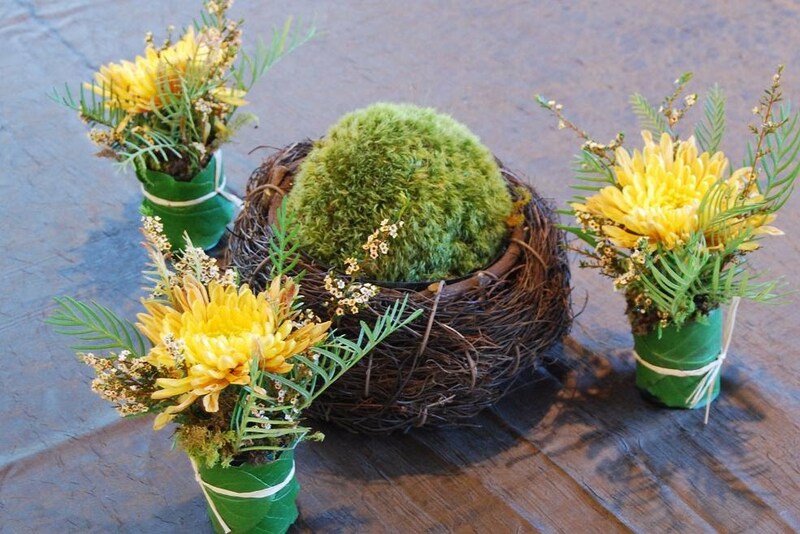 Using one bronze spider mum and a touch of greenery is all you need to finish off these cute mini arrangements. Group the arrangements in a circle or run them down your table. They are also great for place card holders. Place an arrangement at each place setting and add your guest’s name fastened to a twig or stick.